It started out small, then got bigger, much bigger, thanks to the efforts of USA Niagara. First brought to light in a largely-overlooked 2014 USA Niagara Development Corp. Request for Proposals (RFP) that called for bids to retrofit a small building on Goat Island in the Niagara Falls State Park as “a signature dining facility, an outdoor recreation outfitting facility, and/or a small inn,” Gov. Andrew Cuomo’s proposed “lodge” for the state-owned and operated park has been scaled up to, according to information recently obtained by the Reporter, a sprawling tourist attraction and resort destination in its own right on the former Olmsted preserve. Two years ago, the Calvert Vaux Carriage House on Goat Island in Niagara Falls State Park was to be repurposed as a “small inn,” according to a USA Niagara RFP document. 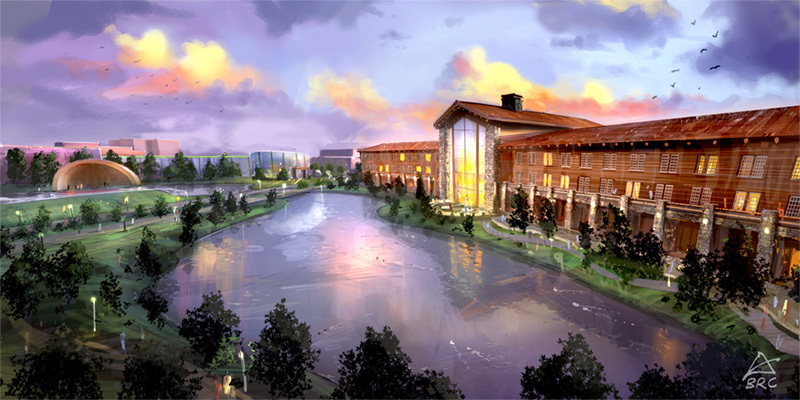 Fast Forward: Depicted on USA Niagara’s “Niagara Experience Center” website, the Niagara Lodge resort footprint on Goat Island is massively larger and more ambitious, containing numerous amenities such as spa and amphitheater, dining rooms and pool. Consisting mostly of the standard boilerplate tourism industry promotion language used by government officials in their never-ending attempts to address the perennial problem of the city of Niagara Falls not effectively capitalizing on the eight million tourists who come here every year, the USA Niagara document that calls for the Calvert Vaux Carriage House on Goat Island to be converted into a “small inn” didn’t receive any winning bids. USA Niagara is a subsidiary of Empire State Development, the state development agency, and as such, is the primary entity charged here with “support and promotion of economic development initiatives in Niagara Falls by leveraging private investment and encouraging growth and renewal of the tourism industry in the City of Niagara Falls,” according to its mission statement. One of USA Niagara’s flagship projects intended to enhance tourism and jumpstart the revitalization of Niagara Falls is the Niagara Experience Center, the “the primary (heritage) interpretive center for the Falls, and the best place to experience the story of this extraordinary natural wonder,” which has been in the works seemingly since the falls were just a trickle over the gorge at Lewiston. In this role, USA Niagara maintains a website for the Niagara Experience Center. 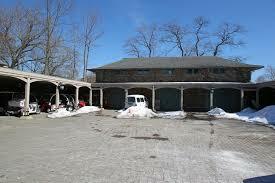 So from 250 rooms, the lodge has strategically shrunk to 75-100 rooms. Is it to mushroom to 1000 rooms when built on Goat Island in a couple of years?